Care to tell us what these Mercedes executives are hinting at with their hands? 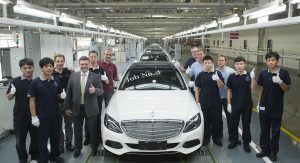 While you think about it, let us tell you that less than six months after the Bremen plant started production of the all-new C-Class, Beijing has become the fourth site worldwide to begin manufacturing the new model. 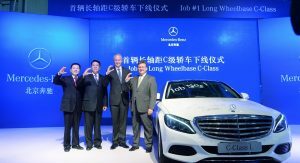 The Beijing Benz Automotive Co (BBAC) joint venture has started producing the first-ever long-wheelbase version of the C-Class for the Chinese market, a very important model for Daimler’s strategy in the Asian country. 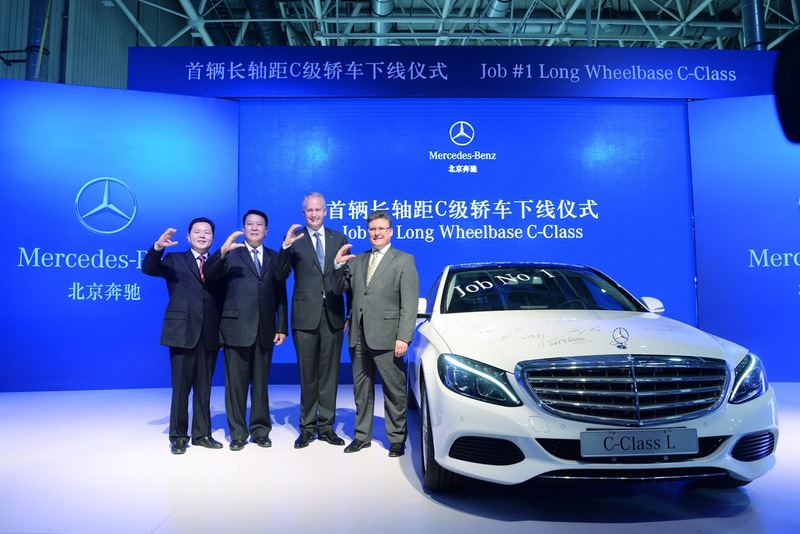 “The C-Class is at the core of our development in China. 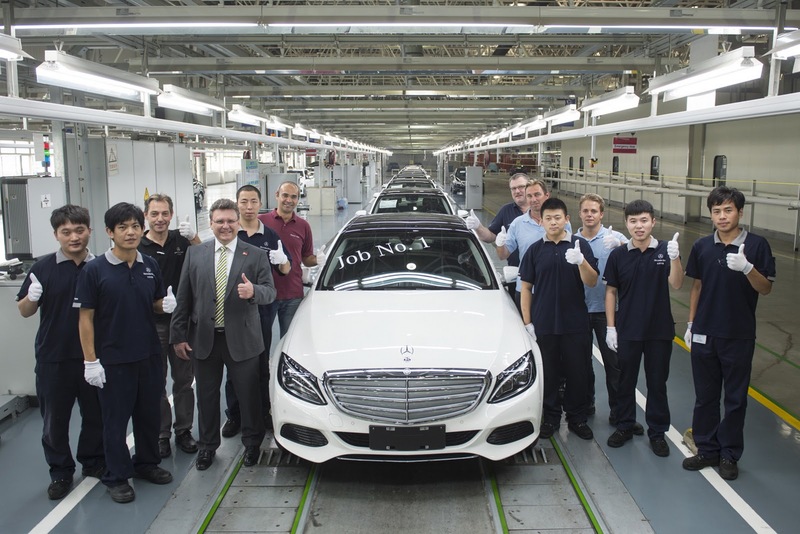 With more than 150,000 vehicles of the predecessor model delivered to customers, China has already become the second-largest market for the C-Class,” said Hubertus Troska, member of the Board of Management of Daimler AG responsible for China. 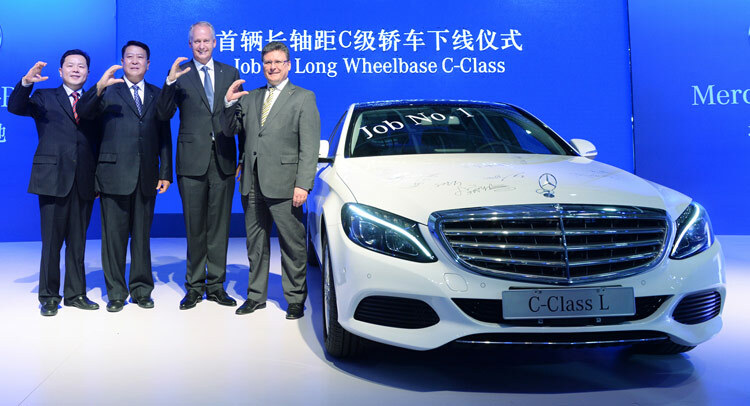 “Now we are taking the next step: designed and developed for China, produced exclusively in China, our all-new long-wheelbase C-Class is destined to become one of our top growth drivers here,” the executive added. The wheelbase of the new C-Class L is an extra 80mm (3.15in) long, offering more space for passengers in the backseat. 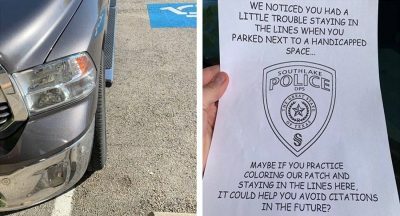 Furthermore, the front row passenger seat can be adjusted by passengers sitting in the back seat for added comfort. 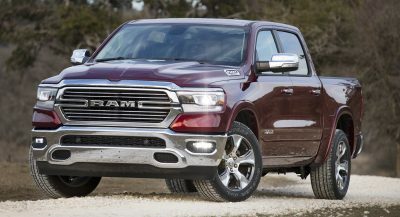 The model features a full range of assistant systems including a semi-autonomous driving pilot and a touchpad that allows for operations of the head unit functions through Chinese handwriting. The engines powering the new C-Class L are locally produced at BBAC in Beijing and range in output from 154hp (156PS) to 362hp (367PS). 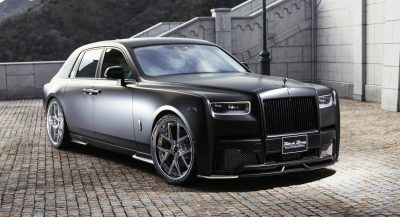 It is offered in two trim grades, ‘Sedan’ and ‘Sport Sedan’, with the former bearing the classic grille with the Mercedes star on the hood and the latter featuring a grille with the central star and an AMG aerodynamic styling package. 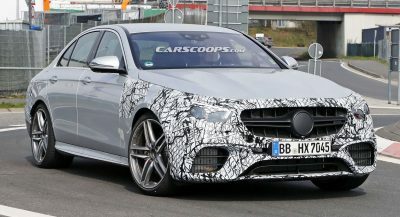 The Mercedes-Benz C-Class L will launch in China this September.